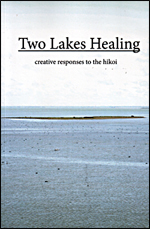 We are delighted to feature two recent NZ books which in their own way talk about the land, people, colonisation and the possibility of healing: Listening to the People of the Land and Two Lakes Healing. Your mid-April selection also includes several recent books from independent UK publisher Sacristy Press, Nadia Bolz-Weber’s autobiography and a new book about Paul’s theology. Christianity, Colonisation & the Path to Redemption. [2 in stock, then allow 10-14 days]. 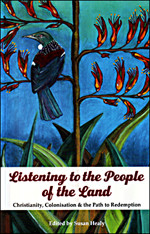 This book traces the links between settler Christianity and colonisation in Aotearoa New Zealand and looks into the underlying causes of the harm to Indigenous communities and efforts made to address that harm. It considers the beneﬁts that can come to Indigenous, non-Indigenous and the Earth, through those of settler descent working to make right their relationship with the Tangata Whenua, the People of the Land. The New Zealand story encapsulates that of the expansionist Christian West. Creative responses to the hīkoi. Kathleen Gallagher, Mark Gibson, Viv Whinster, Iaean Cranwell and others. [5 in stock, then allow 10-14 days]. This book brings together the reflective poems, b/w photos and drawings of 27 people who, in one epic day, cycled round the shores of two degraded iconic Canterbury lakes – Wairewa / Forsyth and Te Waihora / Ellesmere. The journey began and ended with overnight stays on local marae – Wairewa, Little River and Ngāti Moki, Tuamutu. In both places deep stories were told of relationship and kaitiakitanga (guardianship) with these waterways, the suffering and destruction wrought by colonisation, and the commitment and hopeful action being take to restore and heal them. “As we seek for a healthier and more just future for all peoples and for the community of life in which we live, it is vital that our kaupapa is holistic.” Mark Gibson from the Introduction. 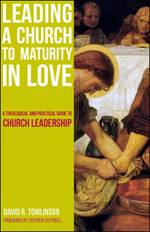 A Theological and Practical Guide to Church Leadership. Churches are intended to be inclusive communities of love, yet the reality is often different, and leaders find themselves needing to resolve conflict and ease tensions within the community, as they are attempting to facilitate change. Tomlinson draws on systems thinking and conflict resolution techniques originating in the Anabaptist tradition as well as on his extensive experience in ordained ministry. He offers practical guidance and a vision for constructive church leadership, that can indeed facilitate churches that are rooted and grounded in love and can embrace change with confidence and resilience. 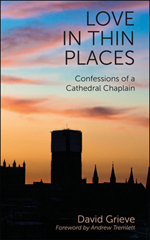 Confessions of a Cathedral Chaplain. David Grieve, a chaplain at Durham Cathedral, invites us to join him as he walks around the greatest of the Northern cathedrals. In this building that has offered sanctuary, silence and space for prayer to many over the centuries, we meet not only saints like Cuthbert, Bede and Godric but are also confronted with the questions and concerns of today’s pilgrims and visitors and not least the chaplain himself. The poems have been written over 30 years, in some cases as a direct result of personal experiences or impressions received while at the Cathedral. The Cathedral is a Thin Place, where the distance between the close presence of God and the realities of life on earth seems to shorten. This is building with its many functions as a house of worship, music, art and other exhibitions, university graduations and all manner of events is itself a medium through which we can draw closer to God, speaking as it does of him. Essential Theology for the Twenty-First Century. 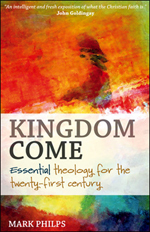 Kingdom Come makes essential theological topics relevant and readable without diluting the Gospel message, drawing on the work of thinkers such as Augustine, John Calvin, George MacDonald, Karl Barth, C S Lewis, J I Packer and N T Wright. This book is essential reading for anyone in, or training for, church leadership: clergy, pastors, students, ordinands, preachers and teachers. 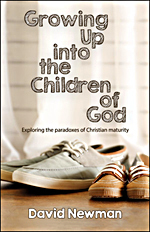 Exploring the Paradoxes of Christian Maturity. A strong, mature faith is vital for Christians and for the life of the Church. The book offers a dialogue between some of the easily polarized groups in the Church, such that the energy and wisdom of each might benefit the other and the whole. At a time when the Church is increasingly demarcated and even divided by age, theological outlook and styles of worship Christians need to create frameworks of understanding that enable then to be credible witnesses in today’s complex and fragmented world. Reflecting on his own faith journey and 40 years of ministry in the Church of England, David Newman offers ways of thinking about and experiencing faith which equips individuals in their growth as people and as Christians. The Cranky, Beautiful Faith of a Sinner & Saint. Wildly entertaining and deeply resonant, this is the book for people who hunger for a bit of hope that doesn’t come from vapid consumerism or navel-gazing; for women who talk too loud, and guys who love chick flicks; for the gay man who loves Jesus, and won’t allow himself to be shunned by the church. In short, this book is for every thinking misfit suspicious of institutionalised religion, but who is still seeking transcendence and mystery. A former stand-up comic and recovering alchoholic, now a Lutheran pastor in Denver, describes her spiritual journey and her experiences at the House for All Sinners and Saints, a church she founded that welcomes a diverse congregation. 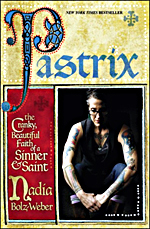 Nadia Bolz-Weber takes no prisoners as she reclaims the term “pastrix”(pronounced “pas-triks,” a term used by some Christians who refuse to recognise female pastors) in her messy, beautiful, prayer-and-profanity laden narrative about an unconventional life of faith. This compelling, inspiring book is an invigorating rereading of the fourth gospel by a well-known spirituality writer who has lived some years in the Holy Land. 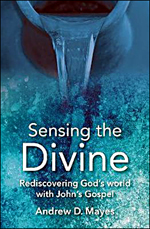 Mayes approaches John’s gospel by exploring how he uses the senses, both physical and spiritual, in his encounter with Jesus Christ, the Word made flesh. This refreshing appreciation of the gospel will activate and stimulate our own discoveries and spiritual quest, not only of the gospel, but also of God’s world, ourselves and our mission. (Revised & expanded 2nd edition). God B.C. 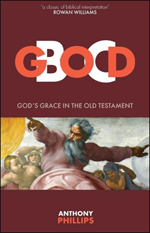 is a clear and profound introduction to the spiritual world of the Old Testament, providing a highly readable introduction to the nature of the God whom Jesus called “Father.” It charts the relationship between God and God’s people Before Christ, and how that relationship informs our understanding of grace. This revised and much expanded work revisits the subject in the light of recent scholarship, enabling us to see how the whole Bible reveals the character of our humanity as well as that of God’s divinity. Living the Sayings of Jesus. 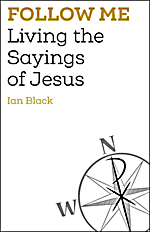 Using true stories to bring us closer to scripture, Black draws connections between what Jesus said and how we live today in all its messiness and complexity. Based on Jesus’ words “follow me,” he reflects on acts of loving service, the commandment to love, prayer, money, forgiveness, self-sacrifice, mission, and the Eucharist (Communion). The Bible is full of instructions for how we ought to behave if we want to be a follower of Jesus, but these often seem to belong to a by-gone age, far removed from our busy 21st century lives. Follow Me helps us uncover how Jesus’ words are still relevant and distils the essence of the Gospel message for today, providing practical steps that all of us can take to live the sayings of Jesus. 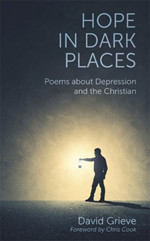 Poems about Depression and the Christian. 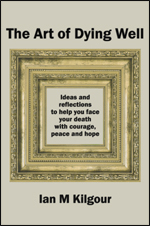 Faith Communities and Suicide Prevention. Pastor Rachael Keefe shatters the taboo of suicide by sharing her own painful story of life-long depression and suicidality – and how her various faith communities responded, for better and for worse. Opening a window into her suicidal behaviors as a young person, Keefe helps us recognise the signs and struggles of those who suffer silently. Reminding us of the Church’s call to be the Body of Christ for each other, Keefe empowers us to recognise the hurting in our communities and recover the lifesaving message of the Gospel – forgiveness, acceptance and love – that helped her to heal. 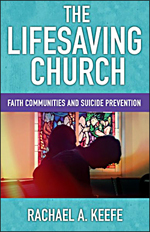 With chapters on how to educate your church in suicide prevention, group study reflections around the common questions surrounding suicide, and specific resources, scriptures, and prayers for clergy, suicide loss survivors, and those struggling with suicidality. Prayers to a Disruptive and Compassionate God. 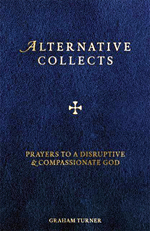 These radical prayers are the result of the author’s struggle with the blandness and predictability of so many of the church’s traditional prayers. They adopt the direct and gritty style and language often found amongst the Psalms and prophets of the Old Testament and are honest about the discomfort we often experience as we seek to live lives following Jesus Christ whilst also acknowledging the audacious grace of God towards us. Creation, Incarnation, Covenant, and Kingdom. Examining Paul’s message in the context of the ancient world, Ware identifies what would have struck Paul’s original audience as startling or unique. 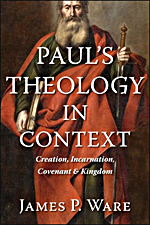 By comparing Paul’s teaching to the other religions and philosophies of that day, Ware presents a fresh perspective on Paul’s theology, revealing four pillars of his thought: creation, incarnation, covenant, and kingdom. After examining each of these dimensions of Paul’s gospel, Ware explores the historical role of Paul within Christian origins and the astounding evidence embedded in his letters regarding the beginnings of Christianity and the eyewitness origins of the gospels. Clergy, students, and laypeople will find that this guide to the big picture of Paul’s theology will illumine and enliven the study, preaching, and teaching of all the Pauline letters.